We are fully licensed contractor serving greater Massachusetts. We design and build innovative hardscapes and structures to create indoor and outdoor environments that will improve and enhance your home, recreation, and entertainment areas. Our vision is to create hardscapes and livingscapes specific to each client's taste that brings a harmonic balance for years of enjoyment. Our services range from indoor home improvements, such as tile work and fireplace design to outdoor hardscape and chimney design, construction and repair (including chimney and step re-pointing). Call anytime for a free consultation of your desired project. "Roman Roads and Jim Veneto bring the ‘old world’ work ethic seldom seen in today’s trades. 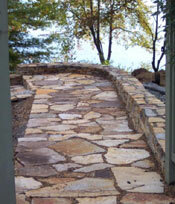 They bring creativity and common sense to their custom designs and recommended hardscape planning. 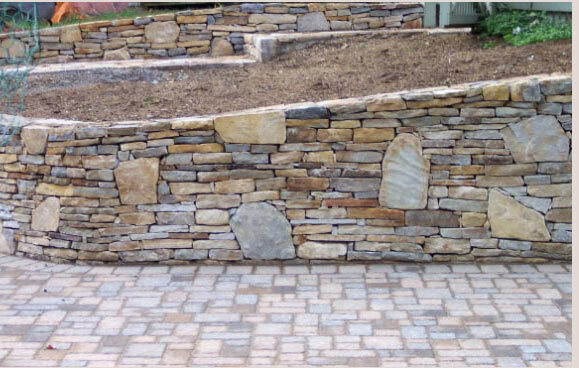 Jim knows stone and he knows what will work to compliment your requirements. 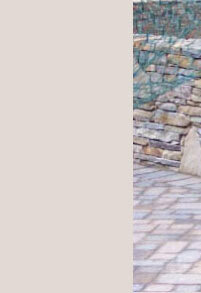 We had Jim and his team create a water feature and over 100 feet of stone walls that solved our backyard water issues. Masterful. Truly, a Master Mason."